This is SKAR’s preferred online reailer, as they provide free dropoff to the club the night before launch. 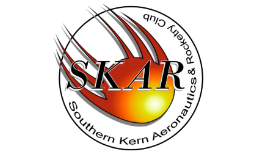 When you order, select launchsite drop off and in the notes put that you are with SKAR, then let us know and we will deliver your items to you at the monthly launch! NO HAZMAT FEE!!! Aerocon Systems – Apparatus, Supplies, and Resources for Adventurers, Inventors, and experimentors. A great selection of electronics, gadgets, tools and parts! Apogee Components – Great parts to customize your rockets. Offers free Rocketry dvd’s with purchases over $50. Great educational center that includes tips, and how-to videos. Wonder full Newsletter. ARA Press – A great source for rocketry documentation, books, guides, etc. Madcow Rocketry – Custom parts, and some unique kits. Polecat Aerospace – Great source for “Afterdark” glowing rockets. Rocketarium -Very unique rocket kits, supplies, tools, and parts. Top Flight Recovery – High quality parachutes for model and high power rockets, as well as higher quality tubular shock cords, swivels, ‘chute protectors, etc. Ye Olde Rocket Shoppe – A good source for older (60’s and 70’s) kits. Less plastic, more wood. If you have any local or online retailers that you regularly frequent, please let us know!